This underground wonder world was discovered by a farmer in 1780 and has since become one of the most popular attractions in SA. The Cango Caves showcase a plethora of enchanting dripstones, including the Madonna and Child formation, which portrays Mary carrying her son, Jesus, in her arms. You will find the caves approximately 30km outside Oudtshoorn in the Klein Karoo and they show be on every visitor’s to-do list! Once inside the caves, you will not only see the Madonna and Child, but many other formations, such as Cleopatra’s Needle which stands 9m tall, as well as the Leaning Tower of Pisa, which has been named after the well known tower in Italy. Frequently described as one of the great Natural Wonders of The World. The biggest show cave system in Africa. Inhabited since the Early Stone Age. It is South Africa's oldest tourist attraction. The formations are unique: they would not have normally formed in this area and are a result of faulting. For a bit of adventure, join the assault course at the end of the tunnel. You will have to climb a steep ladder as well as crawl through a narrow hole. Restrictions: Not suitable for those suffering from claustrophobia or back ailments. *Due to a recent increase in visitors, it is ESSENTIAL to book a tour in advance. Best Little Guest House situated in South Africa's picturesque and historic town of Oudtshoorn, Klein Karoo. It has been especially designed to cater for the needs of travelers who can relax in a quiet, friendly and secure environment. Sorry, there are no results that meet all of your criteria. 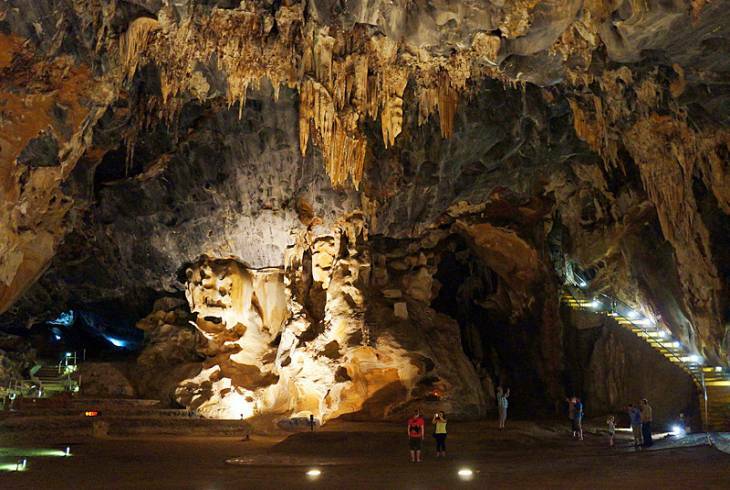 Cango Caves Information and Nearby Accommodation.